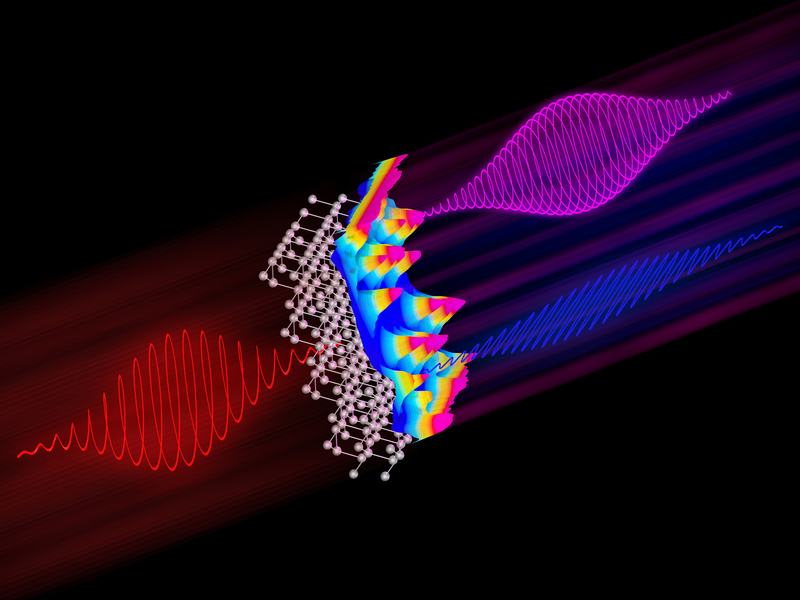 Scientists at CFEL create high-order harmonics from solids with controlled polarization states, taking advantage of both crystal symmetry and attosecond electronic dynamics. The newly demonstrated technique might find intriguing applications in petahertz electronics and for spectroscopic studies of novel quantum materials. By combining HHG experiments and state-of-the-art theoretical simulations, scientists from Universität Hamburg, DESY and the Max Planck Institute for the Structure and Dynamics of Matter (MPSD) at CFEL now introduce polarization-state-resolved high-harmonic spectroscopy of solids, that permits deeper insights into both electronic and structural dynamics occurring on time scales shorter than one oscillation of the light field. Their work is now published in the current issue of Nature Communications.